Place a layer of Snaps in a microwave-able plate. 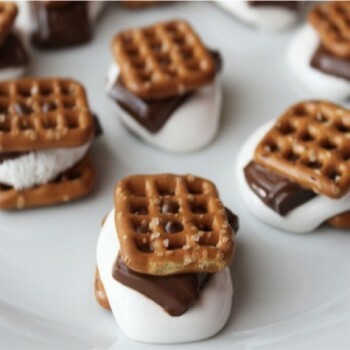 Top each Snap with a marshmallow or a teaspoon of marshmallow cream, followed by apiece of your favorite chocolate bar. Microwave on high in 20 second intervals, until the marshmallow begins to soften.